"Attacking chess is something that truly separates the greatest minds of all time from the rest: Mikhail Tal, Bobby Fischer, Garry Kasparov, and now Magnus Carlsen..."
Question: What do they all chess champions have in common? They are all attacking players. Playing attacking chess against a strong opponent is not an easy task. That’s why the majority of amateur chess players prefer to play safe defense rather than double edged offense. Attack in their mind is associated with the risk. And the risk is associated with losing a game. Problem: Most chess players don't know how to attack. We have all seen these beautiful sacrifices and multi-move combinations played by the strongest Grandmasters, when they flawlessly win a game, tournament or match. Most amateur players get blown away by their sophisticated attacking schemes and clever ideas. Is it possible for an ordinary chess player to learn the art of attacking chess? How to attack the way Grandmasters do? How to make sound sacrifices instantly getting an edge or even winning the game? How to launch an attack right from the standard opening lines? How to prevent your opponent from launching a successful attack? 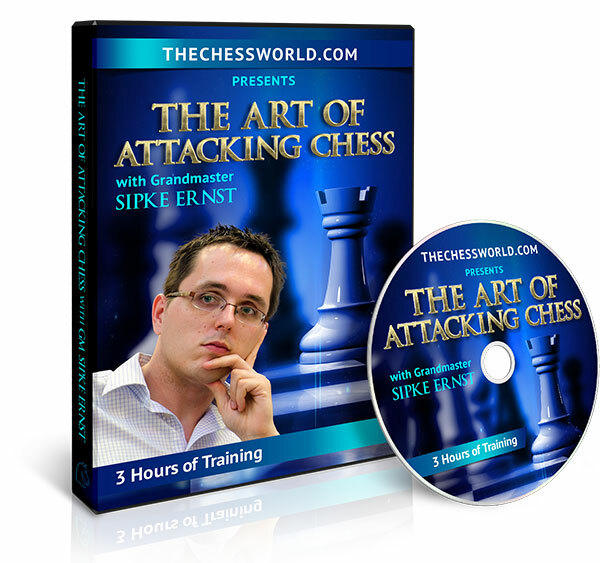 In this 3 hour long video course, GM Sipke Ernst, a strong attacking player himself, will teach you the art of attacking chess. He goes in great detail analyzing the attacking techniques that players such as Magnus Carlsen, Vishy Anand, Mikhail Tal, Sergey Karjakin, Boris Spassky, and Veselin Topalov have successfully used to win games. 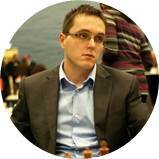 GM Ernst will show exactly how Grandmasters think in complex, razor sharp positions, when everything depends on a single move. In such positions, any little inaccuracy can cause a defeat. It’s like walking on the minefield, along with your opponent, and waiting for someone to make a single wrong step. The good news is that after going over this course you will have a map in your mind that will guide you through the labyrinth of move choices reducing the possibility of mistakes. That’s something your opponent may not have. After carefully studying this course you will gain an edge over your competition, which will allow you to become a much better attacking player while picking up a handful of rating points in the process! 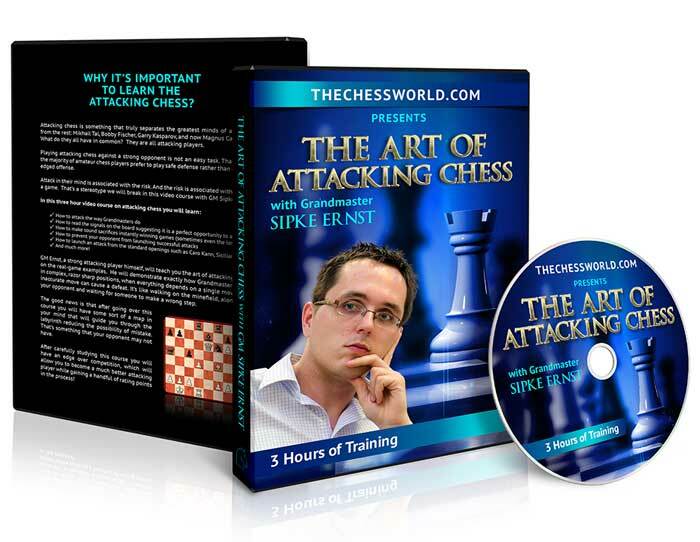 Instant download of the 3.5 hour long, attacking chess video course with GM Sipke Ernst. The video covers 24 most important positions that any competitive chess player must know. After finishing the attacking chess video course, you should apply the concepts you have learned in the actual games. In order to reinforce attacking concepts you just learned we have specifically selected the examples from GM games that you can practice against our engine. Download fully annotated PGNs all examples covered in the video with extra lines, ideas and analysis by GM Sipke Ernst. Available in two formats: ChessBase and PGN. is an International Grandmaster and a member of the Dutch team that played in the 2002 Chess Olympiad and in the 2009 European Championship. As an active player he is known for his creative attacking style. He has won many strong International events around the globe. GM Ernst is an experienced chess coach.